A decade ago, Orange County transportation officials shelved plans for a 9.3-mile, billion-dollar light-rail system that would have run through Santa Ana and Costa Mesa to John Wayne Airport. Political support for the long-planned and controversial CenterLine project had vanished, and policymakers turned to other options, including adding bus service and shifting transportation funds to road and freeway construction. Now, rail transit is poised for a comeback in a region skewed much more than Los Angeles County, its rail-building neighbor to the north, toward the automobile. 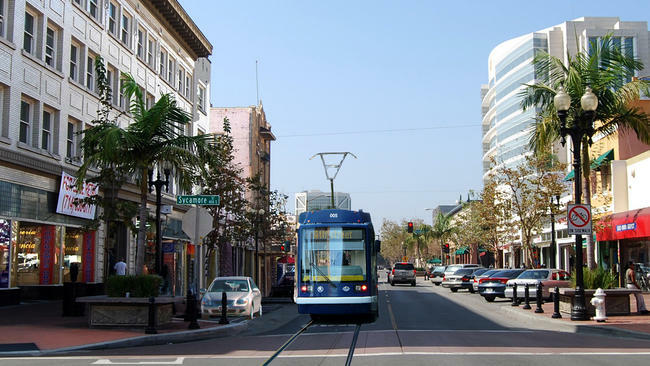 The Orange County Transportation Authority and the cities of Santa Ana and Garden Grove are finalizing plans for a $250-million streetcar line that would connect the heart of Santa Ana — the county seat — to a new regional transit hub in Garden Grove. Environmental reports are done, and the project recently qualified for coveted federal funding status that could provide half the money needed for construction.